The new cube-shaped device is a combination of an Alexa-powered smart speaker and a streaming box like the Fire TV stick that will be able to play 4K videos from Netflix, Hulu, Prime Video, HBO. Amazon Prime subscribers can get the streaming device for a cheaper $89.99 (approx. Rs 6,100) price tag. Amazon has launched the Fire TV Cube as an upgraded version of the Fire TV Stick which was released in 2015. The newest entrant to the Fire TV lineup comes with an overhaul for an update and the highlight of the announcement is that you no longer need the Alexa Voice Remote to interact with Amazon’s voice assistant. Powered by eight far-field microphones, the new Fire TV Cube is designed in such a way that users will be able to reach Alexa from anywhere across the room. Your voice will thus be accurately interpreted while asking Alexa to perform an activity. Built to resemble an Echo device if not for its rather sharp edges, you can ask the Fire TV Cube to switch on the TV or just ask to play your favourite series. Not only will the Alexa-powered device switch on your TV through the HDMI-CEC, the Fire TV Cube will be able to navigate through an app, even within Netflix or Hulu, meaning these apps will be integrated with Alexa commands. While the Fire TV Cube does video streaming like it’s supposed to, the device is also made to interact with your cable TV or other set-top boxes. Powered by IR blasters on all four dues, Alexa will be able to open channel 13 when asked to and control any other IR controller within the same room. You can also ask Alexa to switch from streaming to cable TV in a go and revert back within a fraction of a second by asking so. 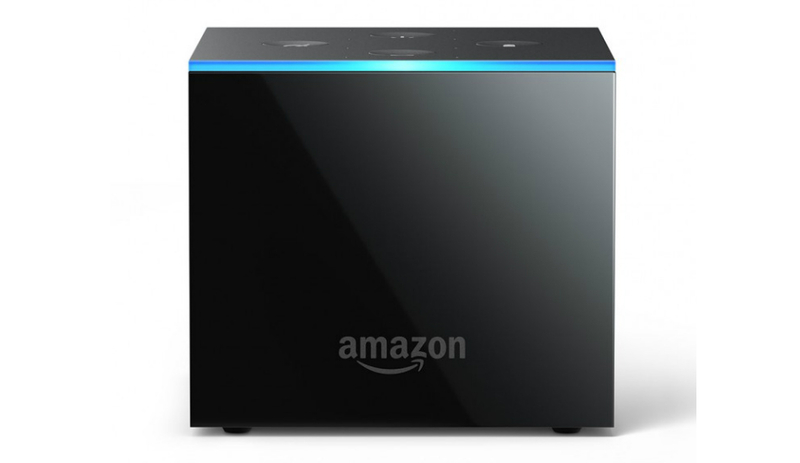 The Amazon Fire TV Cube can also perform individually as a Fire TV and an Echo smart speaker. Like an Echo, the Cube will be able to answer you day-to-day queries and perform tasks while controlling the smart appliances inside your home. While it can stream content in 4K HDR barring YouTube, you can also listen to some music through your TV’s sound system or an additional audio unit and Alexa will display the relevant information about the song on the big screen. In terms of specifications, there isn’t much to differentiate between the Cube and the Fire TV as it’s powered by the same 1.5GHz ARM processor with 2GB RAM and 16GB of onboard storage. There is an included Ethernet adapter and the device still runs on the same Fire OS interface with no chances of getting to stream YouTube. The Fire TV Cube will cost as much as $119.99 (approx. Rs 8,100) but Amazon Prime subscribers can get the streaming device for a cheaper $89.99 (approx. Rs 6,100) price tag.